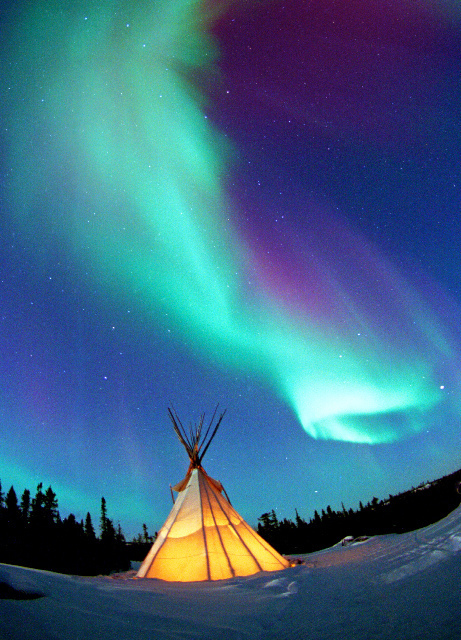 The Aurora Escape – The Great Canadian Travel Co.
As an Aurora viewing destination, the Yellowknife area in the Northwest Territories boasts the highest percentage of Aurora sightings. And getting to a rustic lodge like Blachford Lake Lodge, well away from city lights, increases your chances even further. Prices are shown in CA$, per person based on two people sharing a twin room or one person in a single room. 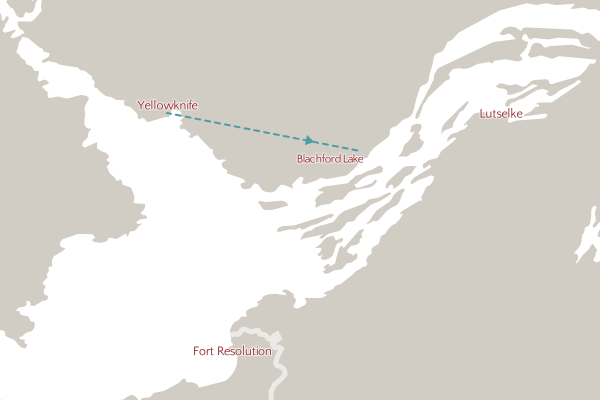 We can also offer accommodation in Yellowknife at the Explorer Inn – please inquire for pricing. Fly north to Yellowknife and transfer to your hotel for an overnight stay. This vibrant city, located on the shores of Great Slave Lake, boasts endless stunning arctic landscapes. Explore the Old Town, featuring panoramic views from Bush Pilot’s Monument, as well as a variety of unique shops and cafes. There are several tours that we can book for you to enjoy this afternoon (time permitting) such as a city tour, snowmobiling or a glass workshop. Just ask and we’ll be happy to provide you with details and pricing for the activities you wish to add. This evening you will go out into the countryside for an evening aurora tour. The Aurora Ovals are located in the atmosphere in the areas surrounding the Earth’s magnetic poles. Yellowknife is situated in an advantageous position under the Northern Aurora Oval based on magnetic latitude. is far from the ocean with a flat geographical landscape and a high percentage of clear skies. These factors, combined with latitudinal position, equals a high probability of Aurora Borealis sightings. 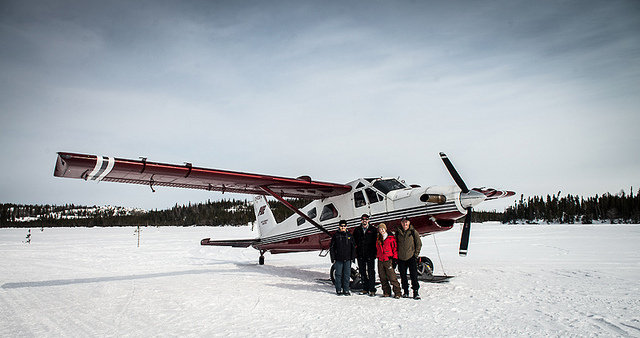 Fly to Blachford Lake Lodge, a twenty-minute charter flight from Yellowknife. Located on a remote jewel of a lake set in Precambrian rock, this spacious, handcrafted log lodge offers a blend of rustic charm and modern comfort. Gourmet meals are prepared by talented chefs, and the cozy Aurora lounge offers a retreat in the evenings. Enjoy a variety of activities depending on your interests. Embark on guided excursions throughout the Canadian taiga, head out on a snowshoe or hiking trail, and discover the awe-inspiring Northern Lights. 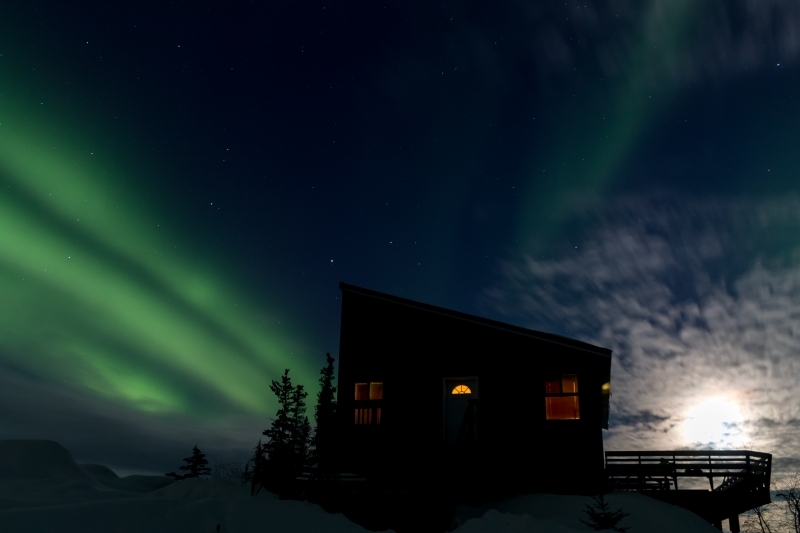 We’ve taken the amazing northern lights package based at the remote Blachford Lake Lodge and added time in Yellowknife to complete your aurora experience! Blachford Lake Lodge provides you with the chance to enjoy a pristine environment with comfortable facilities, wonderful food and various activities. You’ll have an exclusive, front row seat for nature’s own light show after dark. Relax and explore the lodge that Their Royal Highnesses Prince William and Kate Middleton visited during their trip to Canada’s North. In late summer, the Aurora often fills the night sky, reflecting off the shimmering waters of Blachford Lake. On crisp winter nights, the Aurora, the moon and the stars light your way on snow covered paths. The northern lights have been in existence since the earth formed an atmosphere, and shine most intensely in this region. Discover the magic of the north! Return to Yellowknife late this afternoon for another overnight stay. 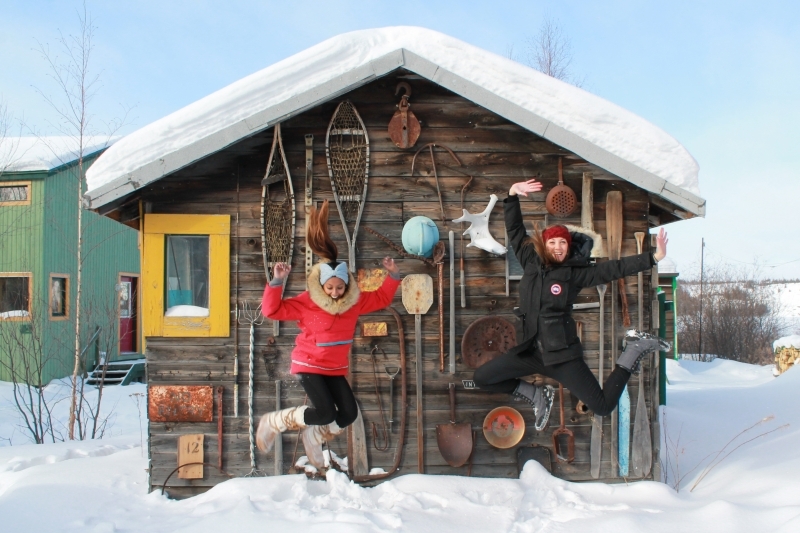 You will have the early evening on your own to explore Yellowknife. Ask us about booking a city tour! We recommend taking in the amazing culture in this wonderful northern city. Browse the shops, and get a bite of fresh caught fish at Bullocks Bistro. You will be picked up from your hotel where you will have an evening aurora viewing tour. You will have the opportunity to in the warmer months take a boat across the lake and in the winter months snowmobile, to a rustic cabin where you will enjoy traditional northern snacks and hospitality. Depart anytime today from Yellowknife. All optional activity prices are shown in CA$, per person and are subject to a 10% gratuity and 5% GST. It is recommended to book the optional activities at the same time as your accommodation to ensure you can take part. Keep up to date with the aurora!